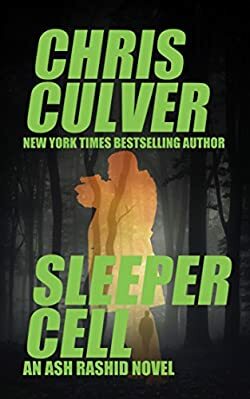 Chris Culver is the American author of the popular Detective Ash Rashid crime mystery series, which currently includes 7 books, with the latest one, Sleeper Cell, published early 2018. A second, Gabe Ward series, currently only has one book published in 2017. In addition, the author has also written two standalone novels. Here are the Chris Culver books in order for his works so far. The book list will be updated as soon as new novels are released. The author Chris Culver (website) was born in Tulsa, Oklahoma. After a while, the family moved to Chickasaw, Oklahoma, where he lived until the age of 7 when the family moved once again to Newburgh, Indiana, where he spent some pleasant and sheltered life growing up. As a child, he read a lot of books, which also flamed his desire to become a writer later in life. After high school, he attended Hanover College where he majored in philosophy. It was also where he met his future wife. Next, for a short time he wanted to become a lawyer, but soon he realized this was not his dream at all. So, he went to Purdue where he enrolled in a Ph.D. program in philosophy. He didn’t graduate, however, as he moved to Arkansas with his wife, who was offered a position as a teacher. Chris also taught classes in ethics, religious studies, and philosophy of religion at a small Arkansas university. Ash reads like a real character. He is a Muslim detective whose parents are from Egypt. He is around 34 when we first meet him in the first book of the series. He left the homicide department of the Indianapolis Metropolitan PD to work with the prosecutor’s office while studying law. He is too tired to deal with yet another murder investigation, so he leaves the PD Force. It was interesting to read that both the author and his main character attended Purdue University. Ash is praying every day when he remembers, and he likes his booze too. He is not above bribing other cops to get his information for his cases. Although he is now studying law, he gets drawn back to investigating when, in The Abbey, the body of his niece is found seemingly from a suicide. Ash doesn’t believe for a moment that she killed herself, so he begins his own investigation into the matter. He is sure his niece didn’t overdose. The first book in the Ash Rashid series, The Abbey, was initially self-published as an ebook. Surprisingly, it became a huge success with the readers. For a while, the series was published by Hachette Group until 2014 when Chris began self-publishing the next books as an indie writer once again. Now the books are only available as eBooks on places like Amazon. 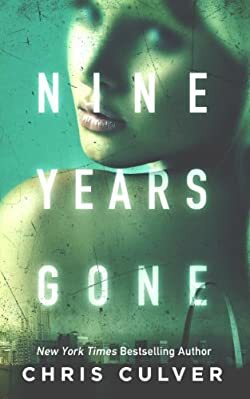 In 2014, the author Chris Culver published his second standalone novel, Nine Years Gone, a psychological suspense book. It features a guy in Midwest who wants to save his girlfriend from harm at any costs. So he stages her murder and frames her stepfather for it, while at the same time helping her disappear. As the title suggests, nine years have passed, her stepfather is now dead at the hands of justice when his former girlfriend comes back into his life to completely overturn it. The latest Chris Culver book is Sleeper Cell, the latest Ash Rashid novel. It brings back Ash who takes the latest case of the murder of an FBI agent because he knows it is personal for him. The agent infiltrated a suspected sleeper cell which is run by Ash’s own brother. An interesting note: if you buy Sleeper Cell (or any of the self-published books by the author), at the end of the book there is a link by the author that allows you to read the first book in the Steve Culver Ash Rashid series, The Abbey, for free. Chris Culver currently lives with his family around St. Louis, MO, where he is working on his next book.